In this issue: the General reborn, alien judgment day, a long-awaited Manly Men of Baen poll—plus, the new Baen Free Radio Hour with David Weber’s Shadow of Freedom! Humanity settled the stars, only to fall into catastrophic collapse and a galactic dark age. On one rugged planet, a reanimated Egyptian social structure with flintlocks and blunderbusses is held in primitive stasis by a malevolent A.I. But now a brilliant and courageous young commander will dare anything to avenge his mother’s death by disease and bring about change. He is the Heretic. 2105, September: Cryocelled investigative reporter Caine Riordan awakens to a changed world. Humanity has achieved faster-than-light travel and is pioneering nearby star systems. Riordan’s mission: travel to a newly settled world and investigate whether a primitive local species was once sentient—enough so to have built a lost civilization. A beautiful gold-embossed leatherbound edition of the classic novel that began one of the bestselling science fiction series of all time. Contains original hardcover and mass market art frontispieces. The Honor Harrington legend begins. 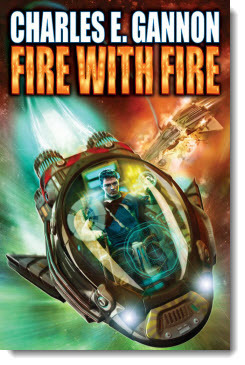 April’s contest is a poll for ladies' choice of the hottest of the Baen Books cover dudes. Okay, it’s also gentlemen’s choice for which one of these cool guys best represents your vision of manliness. And, of course, one might apply both criteria to one’s selection. 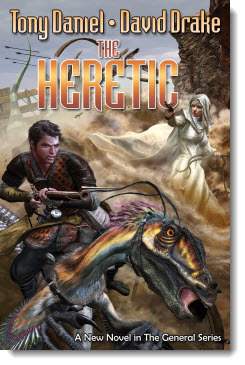 Also, win a signed hardcover edition of The Heretic by Tony Daniel and David Drake, the new entry in the Drake’s General series! 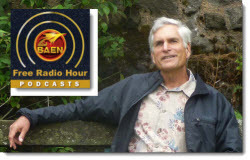 The Baen Free Radio Hour weekly podcast is live on the net every Friday at noon! Get the latest news, fascinating discussion with your favorite Baen authors, writing suggestion segments, and much more. Plus, in association with Audible.com, we are serializing the audiobook of David Weber’s Honor Harrington novel Shadow of Freedom! Exiled to Basilisk Station in disgrace by a superior who hates her, young ship commander Honor Harrington must deal with jungle warfare on an aboriginal planet and confront a foray by the enemy of the Manticoran Star Kingdom she serves. It is a gambit that may ignite an interstellar war—with only Honor in the way to stop it. The 20th anniversary edition of the book that introduced the legend. 2105: Cryocelled investigative reporter Caine Riordan awakens to a changed world where humanity has achieved faster-than-light travel and is pioneering nearby star systems. Riordan’s mission: travel to a newly settled world and investigate whether a primitive local species was once sentient–enough so to have built a lost civilization. Don't forget to check out the latest Ebook releases here, plus Baen.com free fiction from Charles E. Gannon here, and don’t miss the monthly free nonfiction on the Alpha Centauri extra-solar planet here. 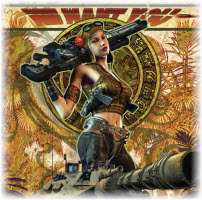 And check out the new Baen Free Radio Hour here.